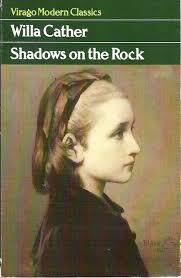 I love Willa Cather & this is one of the novels I still haven’t read. You’ve made it sound so enticing, I think it will be next off the tbr mountain. Oh, I do hope so, Lyn. Please report back when you have read it. It has been lovely to share it with you and enjoy your response. I agree that it is surprising that it isn’t better known. She is a wonderful writer – the people, the places, the details of everyday life, are all so vivid and immediate. I think I like historical novels (as a rule) better than you do, Christine. And this one sounds terrific. I do like it when the author can evoke such a strong sense of place and time that you really feel you’re there. And sometimes, it’s those everyday bits of life that really make the story. Glad you enjoyed this. Thanks, Margot. It is one of those historical novels where you never think to question a single detail. It moves seamlessly between invented characters and real historical figure. A small masterpiece in my view. I do like historical fiction, but this book may be further back than I have read before. I will put this on a list of classics to look for at the annual book sale. It doesn’t feel as if you are reading something set a long time ago. It all seems so fresh and immediate, the characters, so real. Do look out for it.